EMA 2019 will take place on the February 16th, 8 PM CET, at RTVSLO1, while 10 artists will be in running to represent Slovenia at the 2019 Eurovision Song Contest, which will happen in Tel Aviv, Israel later this year. 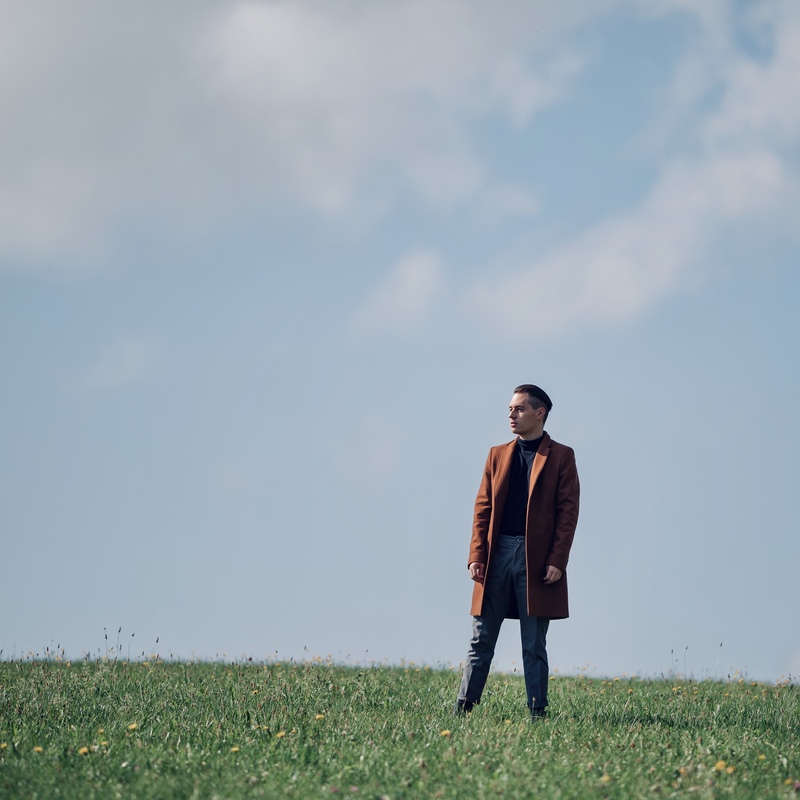 This time we had a nice chat with René, who’ll try to reach your hearts with his track ‘Ne poveš’. Hey, René! Thank you for taking your time for our interview! This is your debut performance at EMA, but it’s not your first music stage ever. Can you tell us more about your music journey so far? Yes, that’s true. When I was younger, around 10 years ago, I performed at a festival and won. I was way too young to start a music career or such. But about half year ago, I released my first single called “En pogled”, and after that I performed at a music festival Popevka 2018 with song “Naprej”. It was a great experience, but now I am looking forward to EMA. René’s first single En pogled. I’ve seen that you’ve visited drama high school – did the school gave you the right tips for being on the stage? I adore acting as well. I can say that that school has taught me so much – I learnt all about stage performance, presence on stage, we even had contemporary dance classes. A lot of people asked me if I felt a lot of pressure on Popevka because I performed as the last contestant, and as I haven’t had a lot of experience with shows like that. But I think that I have learnt a lot about patience as well at high school – for example, to say only one line throughout the play. Can you tell us a little bit about your composing team – your EMA 2019 was written by Jean Markič – so music stays in family? “Ne poveš” was fully written by my brother Jean. I don’t know if music stays in family, but I’m very grateful that he wrote those songs for me. Last year you’ve been performing at Popevka with your song Naprej – what is the main difference between Naprej and your EMA 2019 entry Ne poveš? When performing on Popevka, you have a live orchestra behind you, whereas you don’t have one on EMA. I think that EMA expects much more overall performance from you, dancing, lights, background videos etc. If I refer to my songs, “Naprej” was a ballad, but “Ne poveš” is more dancy, more fresh and has a “good vibe” mood. In case you win EMA this year you’ll travel to Tel Aviv – are you familiar with the contest and have you been following it earlier already? Do you have any alltime favourites? I have been watching Eurovision since I was a little boy. My favourites are Waterloo, Euphoria, Amar pelos dois and of course, Slovenian entries like: Maja Keuc, Sestre, Darja Švajger and more and more. I am working on a stage performance with my crew, I hope we will bring you the best that we can and surprise the audience in the best possible way. Thanks, René. Do you have a message for your international fans here at the ESCBubble.com? I want to say thank you for such a nice interview and for all the people who had read it. Watch EMA and enjoy the show. Wiktoria could be disqualified from Melodifestivalen 2019! Meet the 10 finalists of the Belarusian Eurovision selection!